Previously, I mentioned that we found some additional issues since Tophat’s last post around zFinn’s kit and that we would need to take another pass to fix the infinite loop in Phase 3 of the Sith Raid with zFinn and C-3PO. We had shared a possible solution earlier, but while the changes TopHat discussed prevented infinite loops in Phase 3, in further testing we realized we inadvertently added a new trivializing loop to Phase 1, so we have made some additional changes from the reworked kit you originally saw here. In order to address the Phase 1 problem, we needed to make more extensive changes, which we feel impacted Finn’s core identity. For that reason, we will be refunding the materials spent to upgrade his leader ability. Whatever you personally invested in Finn’s Leader ability will be refunded (with the possibly confusing “we are sorry for the inconvenience” generic message) to your inbox. These changes took a while for us to finalize and thoroughly test, so thank you all for your patience. 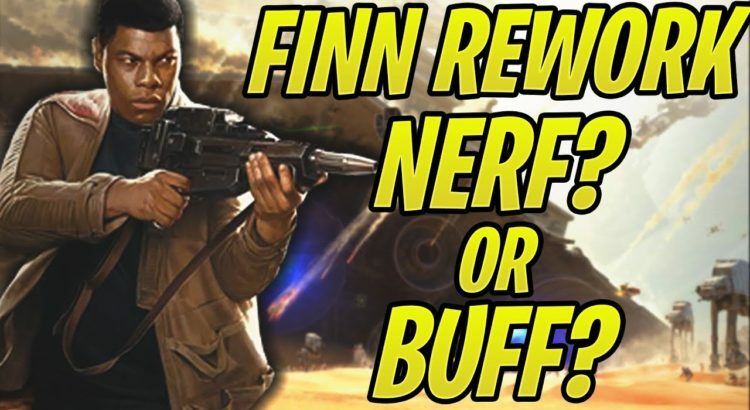 We feel we have landed on a set of changes that keep Finn as a strong character while removing the infinite loop from the Sith Raid. Hopefully our continued communication on the issue helped you plan ahead appropriately and understand the diligence the team has undertaken to solve this interaction. Stay tuned for the update notes coming later this week! Description: Deal Physical damage to target enemy. This attack deals 2% more damage for each time the target has been struck by it (max 20%). Final Text: Deal Physical damage to target enemy. This attack deals 10% more damage for each time the target has been struck by it (max 100%). Changes: Lowered the scaling damage (down from 20%). Capped the amount the damage can be scaled (100%). Note: No changes since last version. Final Text: Deal Physical damage to target enemy, Expose them for 2 turns, and Stun them for 1 turn. This attack deals 50% more damage for each time the target has been struck by it (max 500%). Changes: Lowered the scaling damage (down from 60%). Capped the amount the damage can be scaled to (500%). No longer does double damage to Raid Bosses. Final Text: Resistance allies have +60% Defense, Offense, and Potency, and other allies have half that amount. If an enemy is damaged by a Resistance ally, for each Expose on them: That enemy loses 5% Turn Meter for each Resistance ally, all Resistance allies gain 3% Turn Meter for each Resistance ally, and their cooldowns are reduced by 1. Changes: Zeta triggers for each instance of Expose on an enemy. Star Wars Galaxy of Heroes: Darth Revan is Live!